We are counting down the days until the Postgrad Wales Fair on Thursday 5 February. We thought that it was only right to provide you with some crucial details about the event, and of course offer you some tips on what to take with you on the day. If you choose to attend be sure you get the most out of it! Do your research: Make sure you know which universities are attending, see what postgraduate courses they offer. Collect a guide: When you arrive on the day, pick up the free guide that we offer. This will not only tell you where each university is located, but also details of each seminar taking place. Keep an open mind: You may have your heart set on a particular university, but speak with different experts on the day to get a better understanding of each university and what they can offer you. Introduce yourself: Don’t be shy about it, speak up about what course you’re looking for and get your questions ready. Be Assertive: Give a firm handshake and make eye contact. Have confidence in your ability to do your chosen course. Make Contacts: Whether this is with other students that are attending the fair, or with the postgraduate experts attending on the day. Ask for a business card to send over any questions you may have. With over 30 universities attending ready to answer your questions, it is an excellent opportunity to find the right university and course for you. Find out more about our exhibitors here. 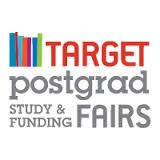 We are holding seminar sessions on funding, applications and life as a postgraduate student. If you would like to attend and haven’t registered, you can pre-register here. What’s the difference between masters and phD funding?